It was stiller than usual, still enough to record without having to shield the mike I reckoned. This is from the breakwater more or less at the foot of Cobham Road in Westcliff. The tide was high and still coming in. You hear the same kind of sounds more or less as the tide goes in and out with variations. For some reason you have this glugging sound here; not sure if it happens every tide, or was to do with it being a still night, or just one of those things. After a while you hear people walking along the beach towards Chalkwell. This was a group of three or four girls who had looked around the base of the kiosk, The Beach Hut, with the lights on their ‘phones and then carried on along the beach, so perhaps they had lost something earlier on. Just after they pass you can hear two men talking as they walk along the pavement, I think that’s Italian. 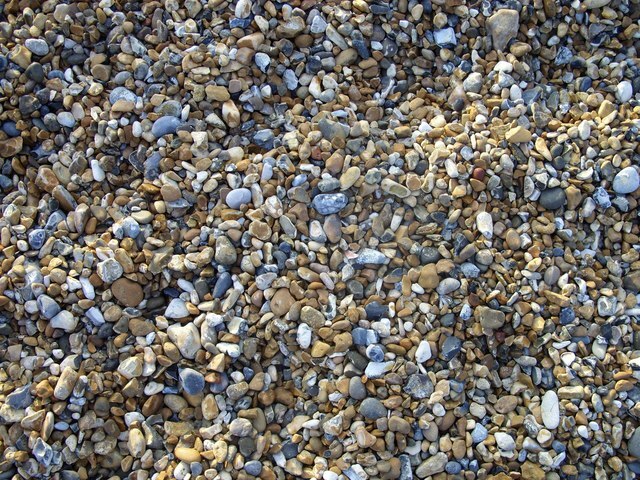 After that there are footsteps on the shingle again: a man came onto the beach and started doing press ups, facing down the beach using the slope. 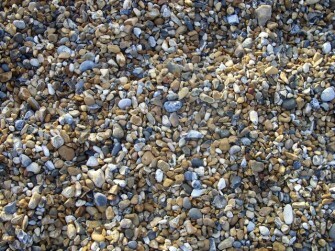 Photograph of shingle by Peter Shaw used under Creative Commons (Attribution-ShareAlike) license.